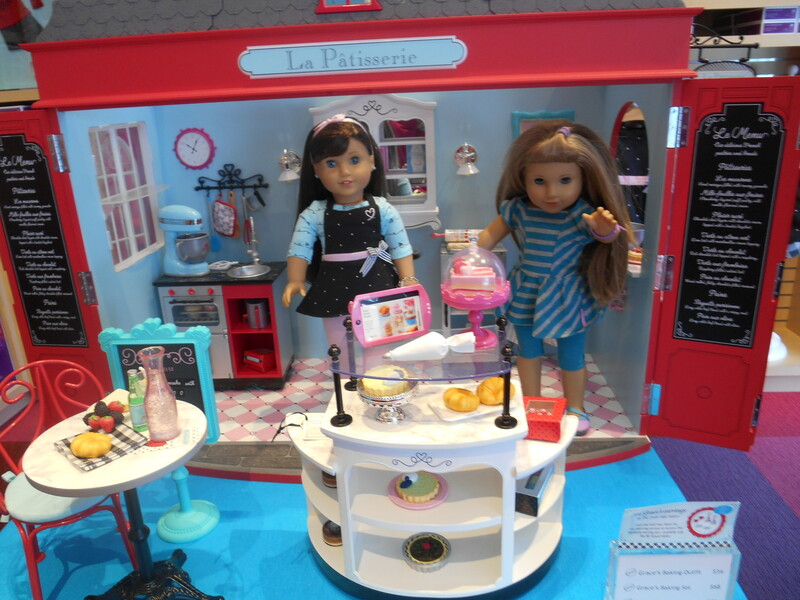 When I got Grace at the American girl store I took pictures of her bakery. It is really big and cool. Mckenna in the bakery. there is easily room for three dolls. The bakery is cool but way expensive. You could easily make one for a lot less. Hobby lobby sells mini rolling pins and you could make a lot of the stuff. Some of my doll’s kitchen supplies. 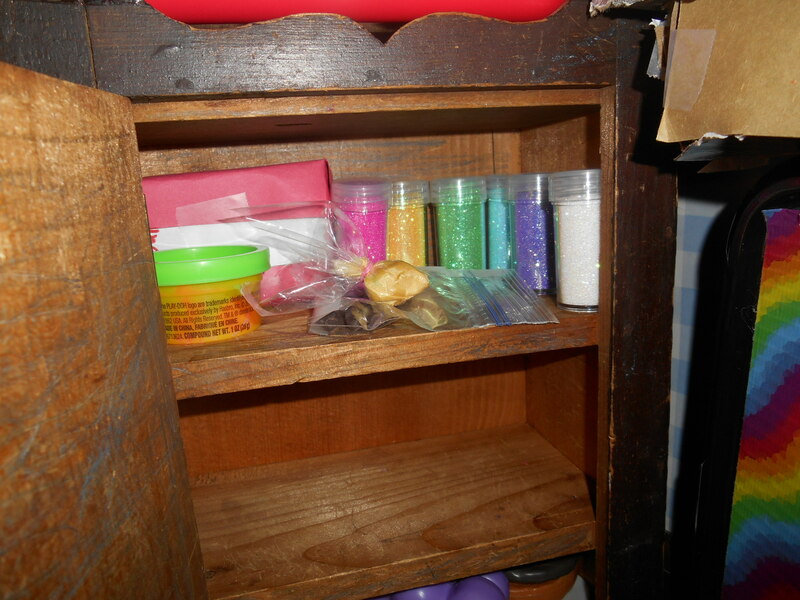 In the container I have brown play dough that I am using as cookie or pastry dough. I made the icing bag out of a plastic bag and cloth. The chocolate chips are real mini chips. And the sprinkles are glitter. 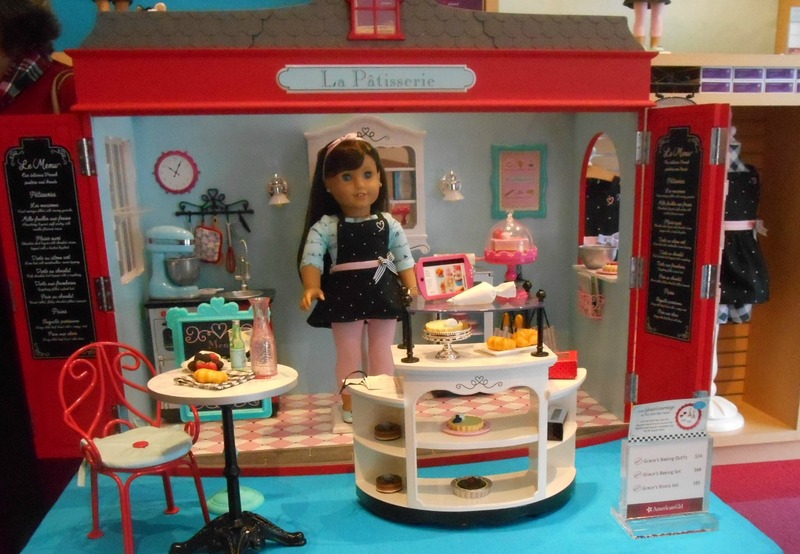 If anyone makes a bakery or kitchen for their dolls please comment and tell me about it.